The celebration of the Philippine Cinema continues as TFC at the Movies brings five of the 2018 Metro Manila Film Festival entries to the world. Kicking off the celebration were the screenings last December of the films “Fantastica” and “Jack Em Popoy: The Puliscredibles” which will also soon screen in other regions worldwide. 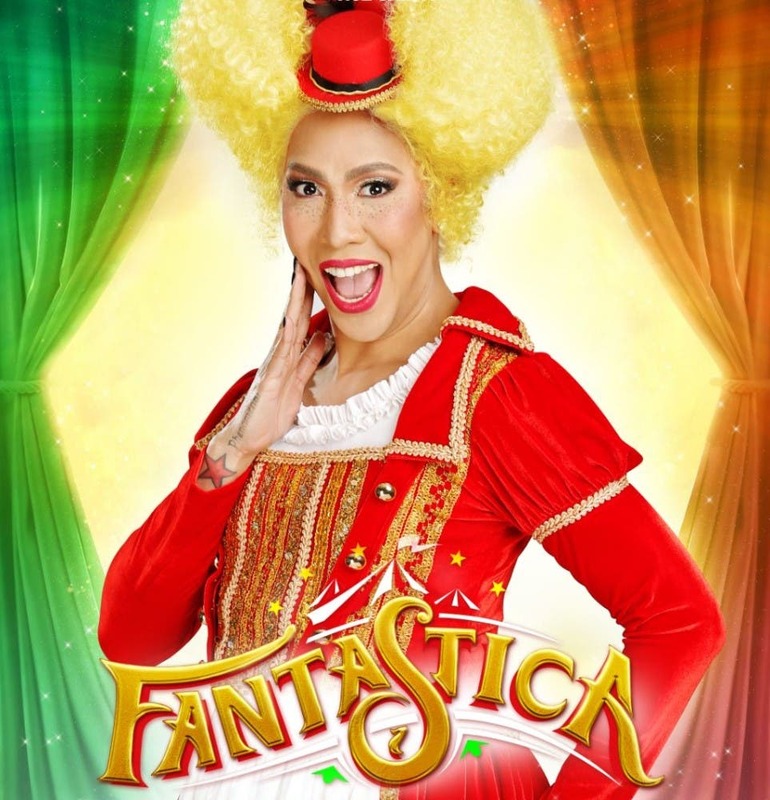 The comedy-fantasy film “Fantastica” which stars Vice Ganda is about the life of Belat (Vice Ganda) who hopes to bring back the life in their carnival for her mother Fec (Jaclyn Jose). She will then meet Prince (Richard Gutierrez) who asks for her help to save the world of Fantastica, and in return will help her restore the life of their carnival that is at the verge of being in possession of the family of her former best friend Dong Nam (Dingdong Dantes). On the other hand, the action-comedy film “Jack Em Popoy: The Puliscredibles” which stars Vic Sotto, Coco Martin and Maine Mendoza is about police officers Popoy (Sotto), Jack (Martin), and Emily (Mendoza) whose paths will cross as they face a life-threatening mission, that also changes their relationship as they get to know each other better. Meantime, the three other 2018 MMFF entries that will soon go global via TFC at the Movies are “Mary, Marry Me”, “One Great Love” and “The Girl in the Orange Dress”. The film “Mary, Marry Me” stars real-life sisters Toni Gonzaga and Alex Gonzaga with their leading man Sam Milby. It is a story about sisters Mary Anne (Toni) and Mary Jane (Alex), whose relationship will be tested after Mary Jane gets engaged with Mary Anne’s old flame Pete (Milby). Will Mary Jane and Pete’s engagement totally drift the sisters apart? Who between the sisters will Pete end up marrying? A moving love story is what the film “One Great Love” offers to its viewers, which stars Kim Chiu, Dennis Trillo, and JC De Vera. It tells the story of Zyra (Chiu) who is torn between the two men in her life: Carl (De Vera) who once broke her heart but hopes to start over again with her, and Ian (Trillo) who after helping mend her broken heart became her best friend. Will Zyra choose to take the risk with the man who once broke her heart or with the man who picked up her broken pieces? Another film that falls under the romantic-comedy genre is “The Girl in the Orange Dress” which stars Jericho Rosales and Jessy Mendiola. The film is about the ordinary girl Anna (Mendiola) who one day wakes up in bed beside the popular actor Rye Del Rosario (Rosales). As Anna tries to escape from the hotel with the help of Rye, they find themselves caught in the middle of their budding romance and personal dilemmas. Will Anna fight for her feelings for Rye or let it go for the sake of friendship? How will this incident affect Rye’s career? Catch these world-class films from the recent 2018 Metro Manila Film Festival as they soon screen in your regions. 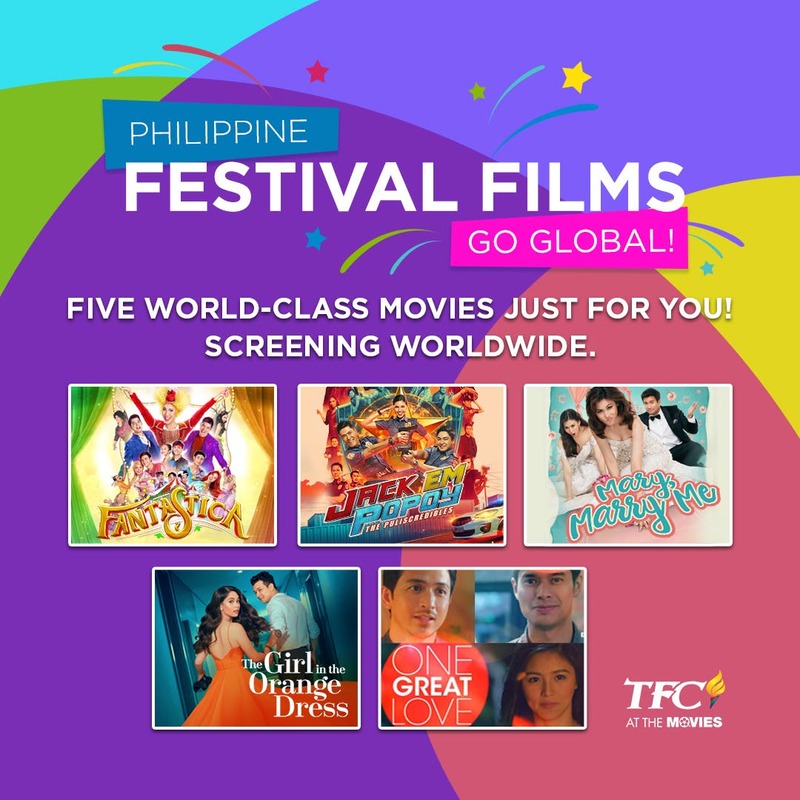 Find out which films will screen in your regions, the screening dates and cinema list by visiting emea.kapamilya.com, mytfc.com, and the official TFC Facebook pages in your area.